It’s here! New Home Page Options! 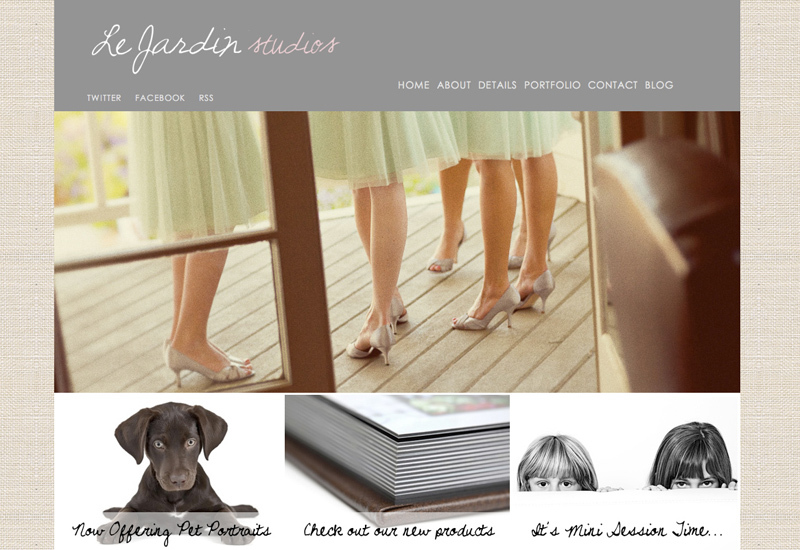 We are so pleased to announce new homepage options to all our themes. 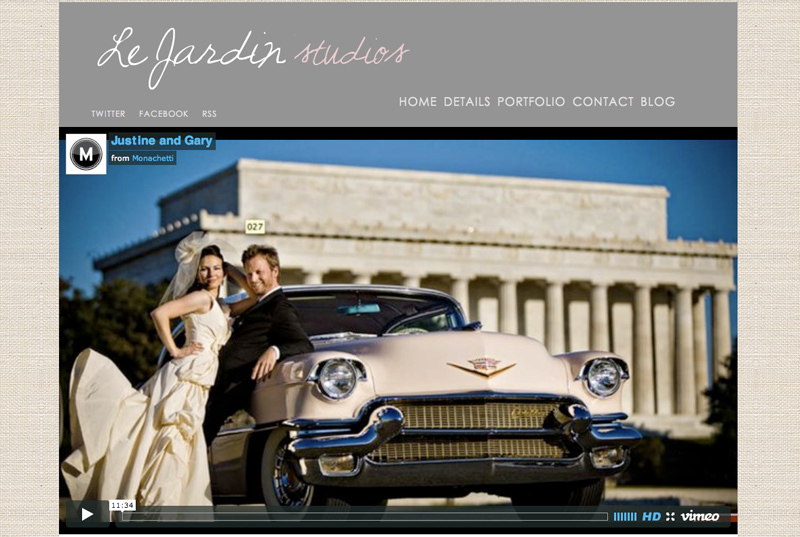 Add Sliding Panels and a Welcome Message, a Video, a Slideshow, or Featured Links. Add them in any combination, or all at once. 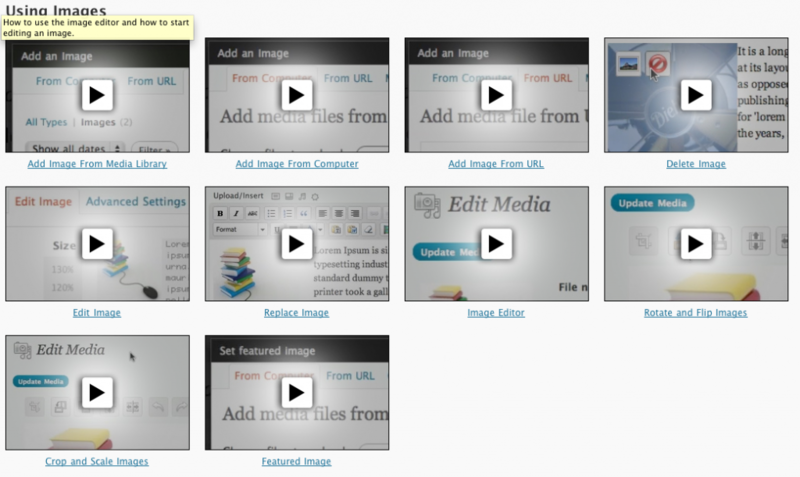 Now you can COMPLETELY customize your site! You can easily create an online presence that cohesively matches your brand and the UNIQUE way you market your business. 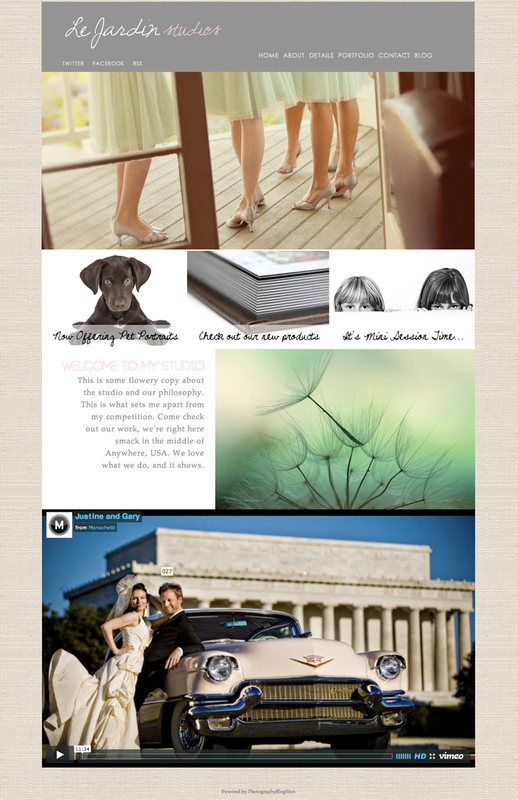 Now with Homepage Options, Blog Options, Font Options, Fonts Sizing, Color Options, and New Style Options you can truly create an online brand that is unlike anyone else. You can’t do that with a template website! You can turn on and off the sections you want to be public. You can change your site daily, adding feature sections for different times and promotions. 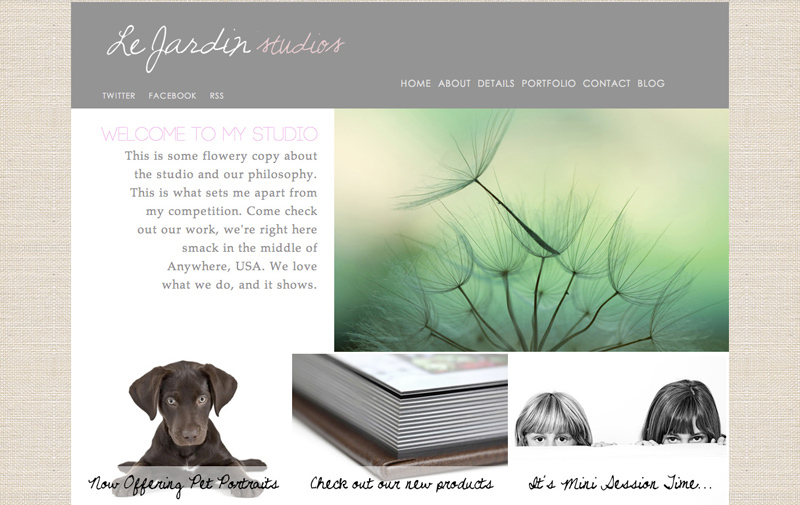 Market your studio the way you want instead of trying to fit a cookie cutter site. As you can see the possibilities are endless! You can add video to any page of your site, we’ve just made it incredibly easy to add to your homepage. This is a sample of all the sections together. They can be reordered by dragging and dropping them into place in the back end. 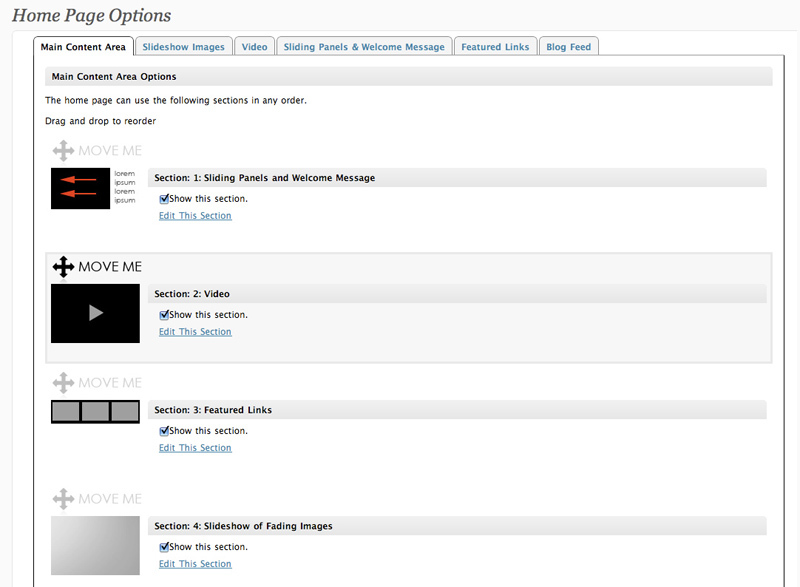 This is the new Homepage Options, and what you see in the back end of your site. You can easily drag and drop a section in the order you wish. 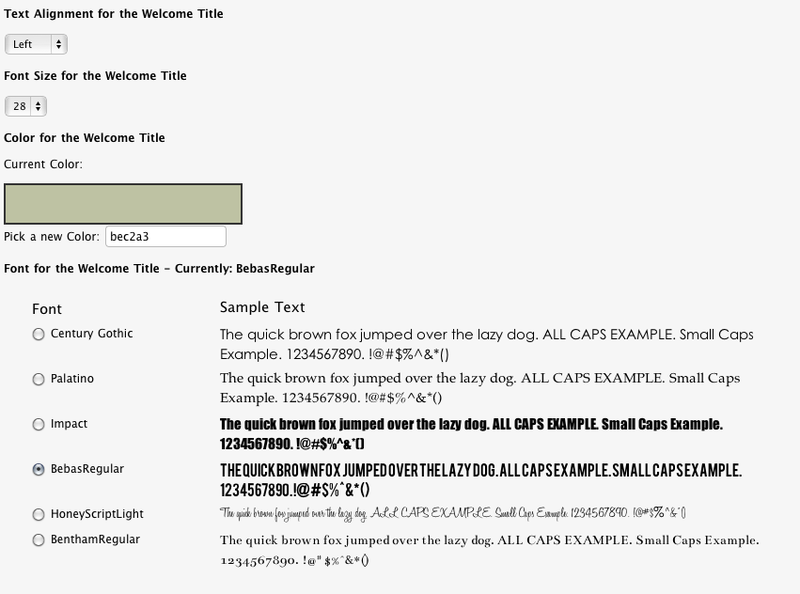 And with the Welcome message area, you can specifically edit the font size, font color, and even the fonts themselves. You can also choose which side the sliding panels and welcome message are on. Give your clients many doors into your site and a reason to stay and discover who you are as a photographer, as a studio as a business. This is what your online branding is all about. Creating a presence that is uniquely yours. 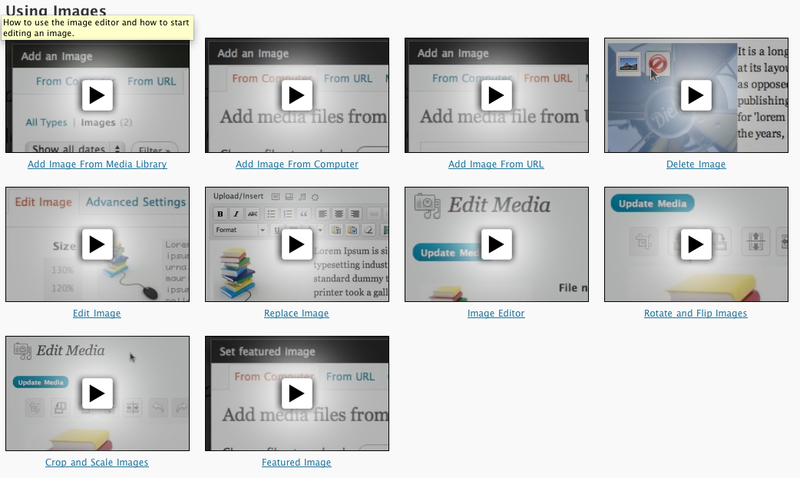 Last night we found a great resource for WordPress tutorial videos. So great that we had to immediately add them to the site. Every site now has more than 30 screen sharing tutorials for every basic tool in a WordPress site right from their admin area! There is also a text version that can be clicked though. 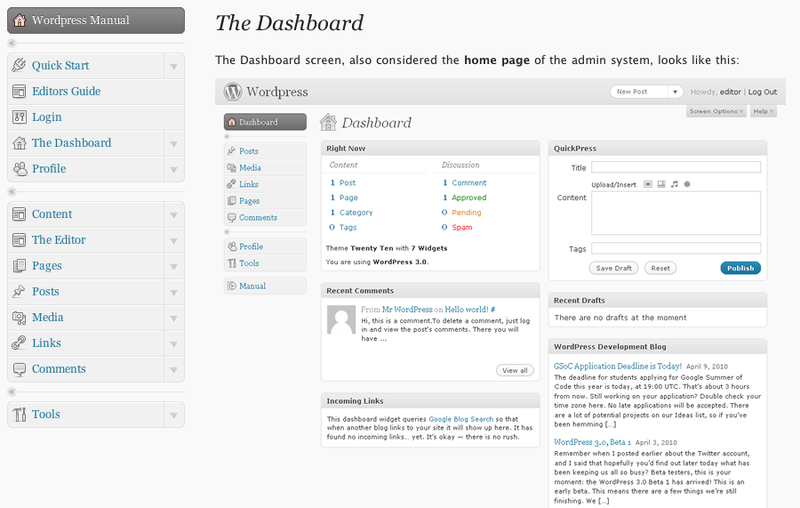 It was even built with a menu that resembles the standard WordPress menu to keep things working consistently. 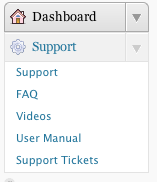 We also made a small change to the menu, moving the Support menu right up top near the dashboard menu for easier access. You can still find the FAQ’s, links to our Getting Started Guide and forums there as well. And of course if you find anything that needs fixing or just have a suggestion for us, use the support tickets to let us know.